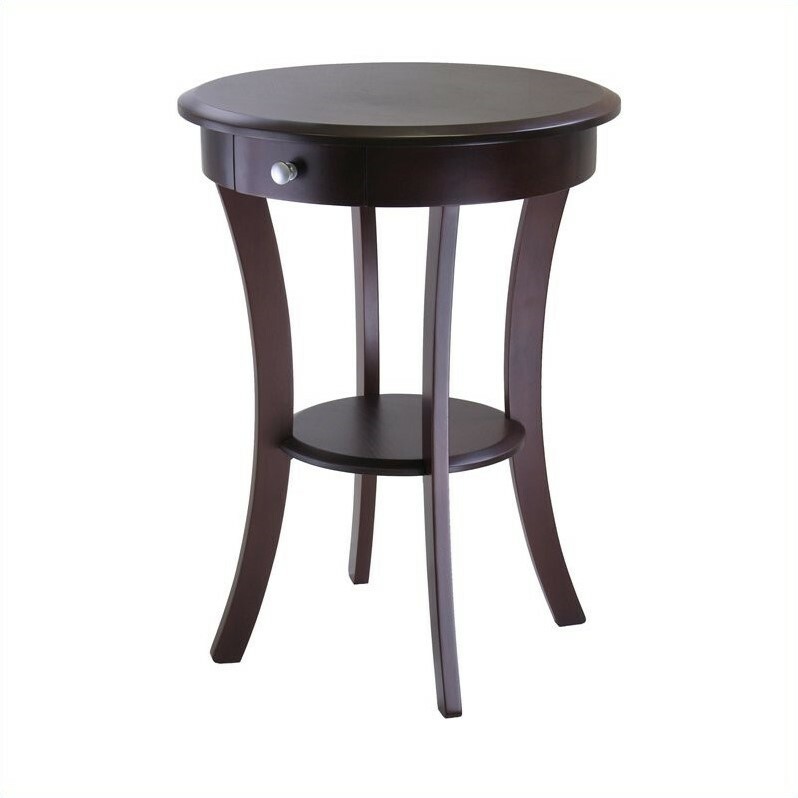 Elegantly simple end table. Its curved, smooth design blends well with any style of room decor. Clearance from Bottom of Drawer to shelf is 12.40"